A new report outlines a number of issues with local authority housing waiting lists in Ireland. A LACK OF transparency and consistency across different areas have been identified as some of the main issues facing social housing lists and how housing is allocated in Ireland. 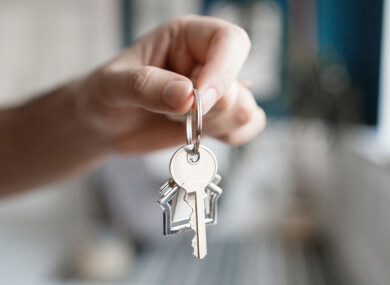 Other factors – such as a “largely held assumption” that a local TD or councillor can help you secure a home faster – can also be damaging to people securing local authority homes. That’s according to a new report published today by the Joint Committee on Housing, Planning & Local Government that looks into local authority housing waiting lists. The report is based on hearings the committee held with Department of Housing, management officials and various expert groups. In general, it found a number of issues with how housing lists are managed across the different local authorities, and how people are kept aware of where they are on the list with regards to securing a new home. Local authorities are the main providers of social housing in Ireland. As things stand, there are currently 71,858 qualified registered for social housing across the state, putting a severe pressure on waiting lists. The committee in its report acknowledges that the issue of supply is critical to decreasing the number of households on waiting lists. “An increase in social housing stock is a key component in decreasing the pressure on social housing waiting lists,” the report states. Delivery of new builds is a substantial undertaking and one which will inevitably take some time. The waiting list system does not work as effectively as it could. There is no unified electronic system across all local authorities and no national standard in the methodology of assessing housing needs and the scheme of letting priorities. Each local authority manages its own housing list in its area. To qualify for social housing, a person must apply directly to their local authority. The local authority bases its determination on housing need (which includes a number of factors including the financial situation of a household and whether they already live in adequate housing). The report finds a lack of consistency across different local authorities in how they manage the people on their housing lists and how the lists actually work. For example, each local authority determines the income threshold for a household to be eligible for social housing, which leads to inconsistencies across counties. As well as this, some local authorities gives numbered positions to households dependent on different factors, like their length of time on the housing list and perceived housing need. But the lack of transparency in this system means that households can jump up in the queue for a house ahead of others. Other local authorities use a points-based system, with similar issues. “There are other Local Authorities where someone can ring up and be told something different three times in one week,” one Committee member stated. Other issues include a lack of consistency around “emergency cases” (say, in the case of homeless families) in which a household jumps the queue based on immediate need. The creation of a special “emergency list” leads to local authorities operating two lists, with the no consistency on who is given priority across different areas. Further complicating this is that fact that when a household is eligible for social housing they can also access other benefits like the Housing Assistance Payment (HAP) – which helps them secure housing in the private rental sector. If a household accepts a HAP tenancy, they are removed from the social housing list and placed on what’s called the “transfer list”. This adds further confusion over priority, the report states. Given the issues over transparency, the committee identified a “largely held assumption that politicians can influence the allocation of housing”. This is the belief that a local or national politician can help a family or single adult speed up the process of getting housing. All local authorities work to the legislation, regulations and to the personal circumstances of housing applicants. It is a very difficult balancing exercise. Over the years there have been cases where people told public representatives information pertinent to people’s housing circumstances but the people have not told the local authority. This assumption can be damaging for households on the lists in that they won’t properly communicate with the relevant officials in each local authority. Email “In Ireland, there is a 'widespread assumption' that your local TD or councillor can help you get a council house”. Feedback on “In Ireland, there is a 'widespread assumption' that your local TD or councillor can help you get a council house”.